Has anyone had any experience building timber crib walls? I'm planning one as a retaining wall for a patio area and having done some Googling the actual construction technique looks pretty simple, just a series of headers and stretchers with stone infill which would be pretty simply to home roll. Its not particularly high, 1.7m at its highest point and the ground conditions are such that its not going to have to work too hard. As its in the garden the BI isn't interested so I don't have to go the the trouble of structural calcs etc. I appreciate that there are DIY stone type systems out there but its a planning condition that my retaining walls are either timber or (rusty) steel. It would be simpler but the National Park won’t have it. so stone, brick concrete with rusty mesh in front. That was actually plan A but the cost worked out prohibitive. I have the intention of using a large amount of Gabion cages for a whole bunch of retaining walls in the next few years, I am not a fan of the wire “look” but appreciate how quick, cheap and structurally sound they are. I will be using a veriaty of methods to hide the wire by attaching both slate and timber to the fronts in the more visible locations. I will also be doing some specific planting to encourage creaping plants to grow up and over selected areas to help further brake up the visual lines. I think that attaching a timber finish would be your cheapest option and would be easy to do. The nature of the baskets being filled with clean stone will give you the ventilation and free drainage needed to give a long life to any wood you use as the finished decorative layer. Interesting thought. Have you given any consideration to how you’ll attach a facing material? Gabions (to my mind) don’t lend themselves easily to allow attachments? Gabions come in a veriaty of grades from the horrible floppy ones to the crisp green / black platic coated ones. Attachments could be made in several ways I think, where I want to use slates I would use a heavy gauge wire to hang them, you can get aluminium wire that I have used before and I think for my situation this would work well, but heavy gaudge mild steel fencing wire would be another choice as it’s very strong yet bendable so I (and my fluctuating.team of international volunteers) could be set to task making a few hundred / thousand hooks. Where I want to attach verticle cladding I would just build in some heavily treated dimensional timber and use this to either attach directly to or attach cross bars on the front and then the cladding. 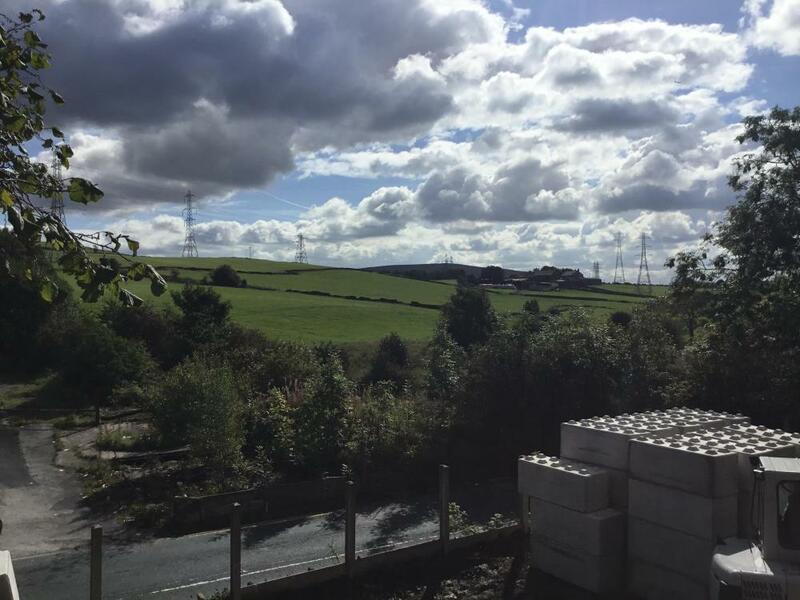 The cross bars have the advantage that any unwanted undulations could be lost by carfullly blocking out as needed before cladding. I am fairly confident in my ability to make this work and it’s a project I look forward to doing in a few years time. I just need a quick cheap way to retain quite a lot of areas in a veriaty of locations within the property and feel that for me this is the way to go. 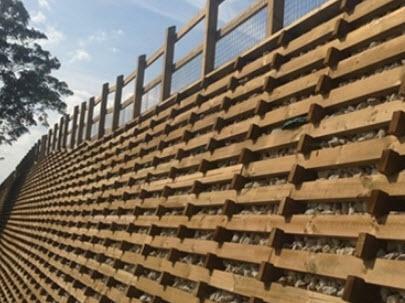 I got a eye watering £40k qoute for a 4m x 12m timber crib retaining wall. 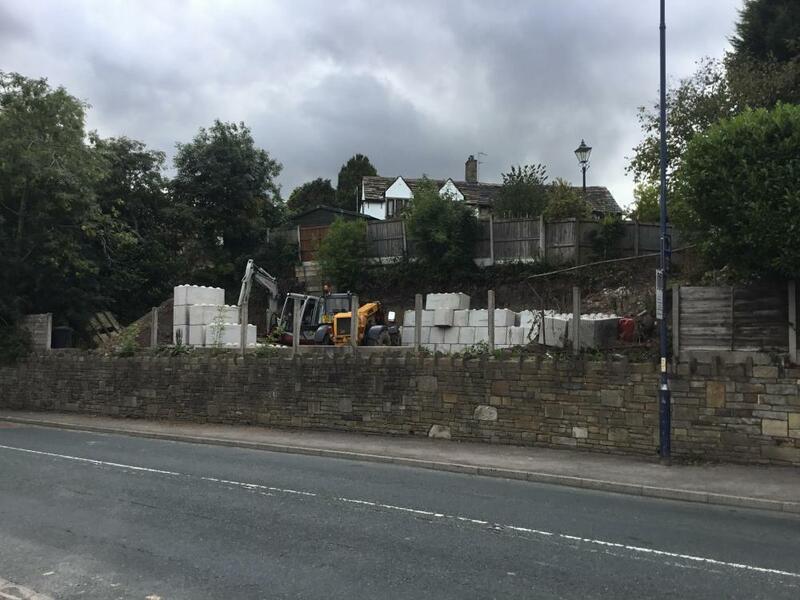 £4K worth of huge concrete Lego blocks done the job. If anyone needs a cost effective retaining wall I recommend concrete Lego. The bottom two courses are 1.5mx0.6mx0.6m blocks, laid lengthways. The upper 4 courses are a combination of 1.8mx0.6mx0.6m and 1.2mx0.6mx0.6m laid horizontally. No need for any mortar as the blocks interlock. The foundation is 400m high at the front and 100m high at the back creating a incline. 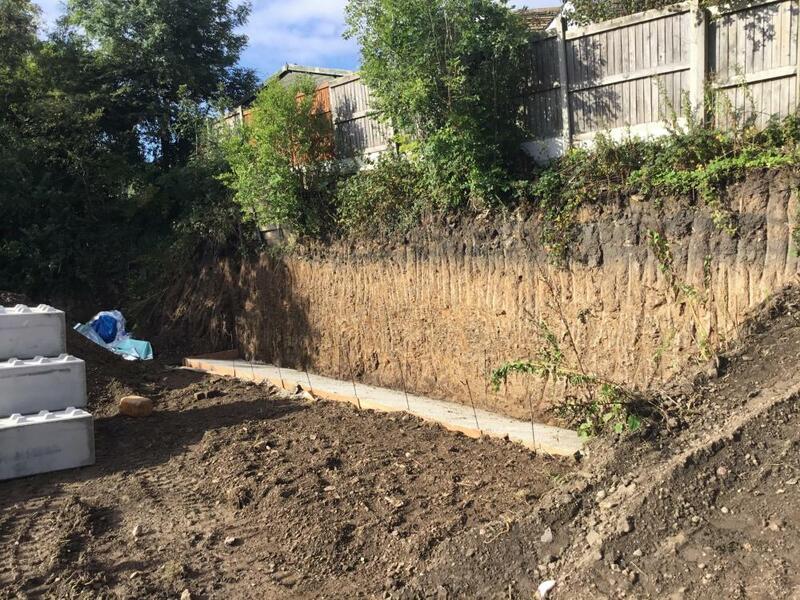 This massively reduces the required width at the base compared to a traditional gravity retaining wall. 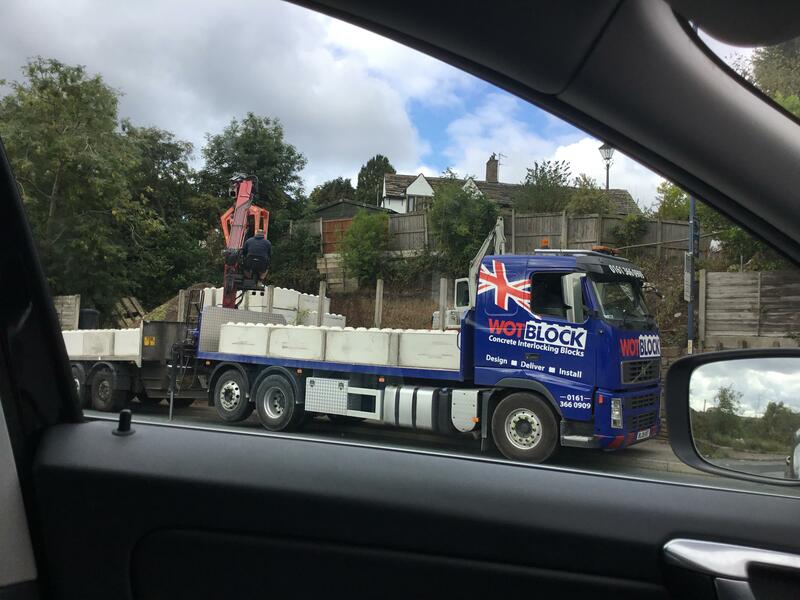 Here are are a few pics of the bank and blocks being delivered. i have used a phigroup system on a 70degree slopec so not quite verticle. It was a system called soil panel. 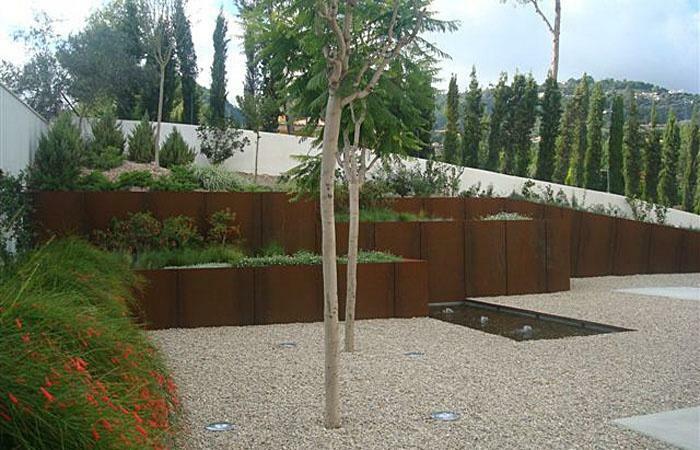 Like a thin gabion but filled with soil, then impregnated with a grass mix to give a green wall. Worked well in a high exposure area and very sensitive in a conservation area. Feckin Ell...that is Lego! What bloody size are the brickies down there! Need a fair size machine to move them into place. I’m using local farmers. Best decision I ever made. 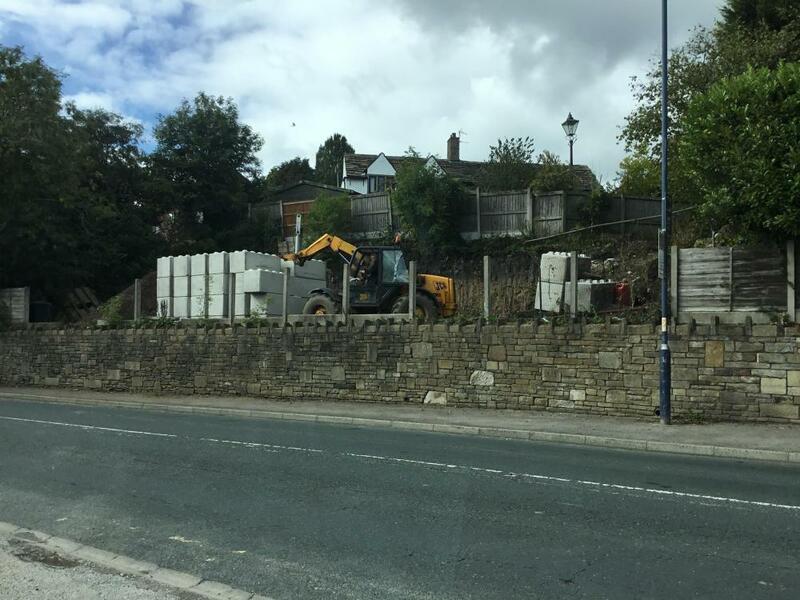 Mini digger n driver £150 a day. JCB n driver £200 a day. They’re bloody good too. Some of the manouvers Adam pulls off in that mini digger are death defying. What about ICF and clad in timber? Certinaĺy diy. I looked at every possible option and this was by far the cheapest and quickest for my situation. My house is going to be ICF and clad in timber though. Can’t wait to get started.